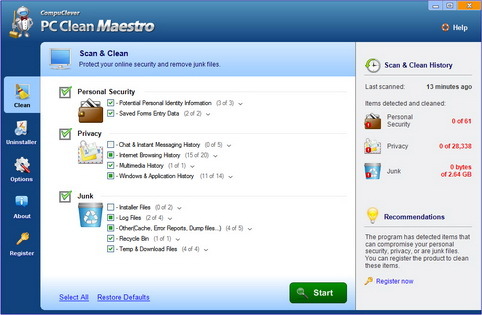 Designed for computer users of any level of experience,PC Clean Maestro is simple to use and incredibly effective.The Scan&Clean process locates any traces of personal identity information that are not needed and finds unwanted junk files and data. With Win Tonic, you are assured to stay protected on your Windows PC and in the online world as well. Get a quick glance into its rich features. A complete Web and Windows protection suite that also lets you clean disk space and boost system speed. Count days, hours, minutes or seconds until a user-specified time. Count days, hours, minutes or seconds since a user-specified time. Syvir PC Diagnostics Monitor provides you with real time visibility of your PC. Our simple dials enable you at a glance to see the availability status of key performance sensors at any time.